Publishing and journalism are industries in transition facing the rise of e-readers, data journalism, social networking and free online resources. In 2013, what is the point of a book? At Warwick Careers and Skills ‘Working in publishing and journalism’ event this week, Rachel Maclean, Managing director of Impackt Publishing asked exactly this question. We were reminded that books have the reputation of providing accurate and reliable information where the internet cannot always be trusted. They also give the opportunity for specialism in niche areas. But of course, publishers must also adapt to changing customers and changing competitors as Richard Lennon and Duncan Bruce from Penguin Books explained – there are many opportunities as well as challenges in contemporary markets. 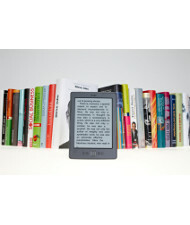 For example, more e-readers means more potential sales but how do publishers compete with ‘angry birds’?! Do readers want to subscribe to books in the same way they subscribe to films and music? Nonetheless, it all essentially comes down to a love for stories, in whatever form, and Penguin is committed to delivering just that. Likewise, as Julie Nightingale, freelance journalist said, journalism is “allegedly an industry in decline” and technology is changing the game. However, facts are still important and the world increasingly needs people to find the truth amongst all the sources. The fact that these industries are at the forefront of change also makes them exciting areas of work. The thrill of the chase is something that Deepa Shah (now working for “the other side” in the Department for Education) also mentioned – a job for those who love adventure, mischief, and even the adrenaline rush of impossible deadlines. Journalists gain privileged access to places, events and issues that change society and interview people from murderers to the royal family to soap stars! Paul Myles, a freelance reporter, investigative journalist and filmmaker even mentioned that he is currently working on an undercover project, under a different name. So, what was the advice on how to get a job in such fast-moving areas? A genuine passion and interest in the industry is always necessary, though it is no longer enough to love Jane Austen, or to just be good at writing. There is still a massive need for creativity but the industries are looking for those who also have analytical skills and commercial awareness, who can do research and draw conclusions, those who can be flexible as well holding the ability to specialise in a particular area of interest. Be audacious, be bold, think about what you have that makes you stand out from the crowd and tailor your CV to the company to which you are applying. The speakers couldn’t stress enough how important it is to proof read your application documents! Similarly, that all too vital work experience is important not just as something to add to your CV but as a means of learning and developing. Don’t stay hidden on a placement but make yourself indispensable and ask difficult questions about the way the business works. Be prepared to start small, perhaps at your local paper, and take every opportunity to gain experience in the field. Isabel Jones, recent Warwick graduate now working for Oxford University Press after work experience/internships with eight different companies, admitted that it can be like a games of snakes and ladders and you have to be realistic and think about what you aim to get out of it, but each experience will help you develop because you always learn something. Contacts, contacts, contacts! It is important to build up contacts in the industry and maintain them. Journalism especially tends to be about who you know rather than what you know. Make connections between mutual acquaintances, gain others at networking events and once you have them, use and develop them – it is great to get to the stage where someone will recommend you to another company. “If you are competent then you will rise”.